An exhibition designed to showcase new trends and ideas using a fresh material. 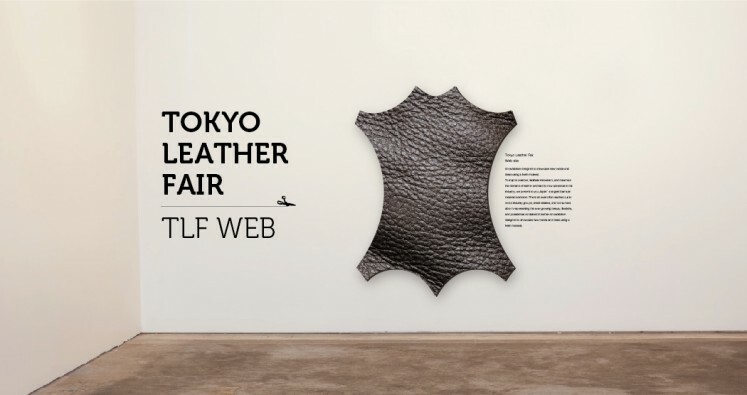 To inspire creators, facilitate innovation, and maximize the demand of leather and lead to new advances in the industry, we present to you Japan’s largest biannual material exhibition. This is an event that reaches out to cross-industry groups, small retailers, and consumers alike in representing the ever-growing beauty, flexibility, and possibilities contained in leather. We would like to hear your comments to make the future TLFs to meet your requests more. Please spare your time to answer our questionnaire during your visit to TLF. Filled-in questionnaires are collected on the 1st and 4th floors. Early respondents at the 4th floor will receive a small present. In addition,respondents will have a chance to receive a leatherware. For details, see the questionnaire distributed at the TLF.